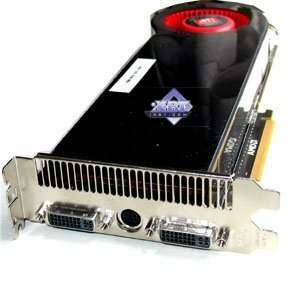 Today we are going to preview a dual-GPU monster based on R700, the ATI RADEON HD 4870 X2 (R700) 2x1024MB. This article is exclusive enough, because the official announcement is scheduled only to August. 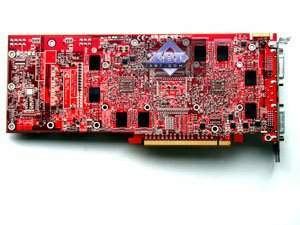 Instead of doubling the memory capacity of HD 4870 512MB, this novelty has four times as much: 2x1024MB (2GB) RAM. Note that it would be incorrect to simply sum up memory capacity of a dual-GPU card, because each core utilizes its own memory exclusively. Only marketeers do that to promote a product. Keeping within the framework set by AMD, we will briefly describe architecture, the card itself, and will run a few game tests. Though architecture doesn't need much describing, just multiply all the primary specifications of 4870 by 2. So there. 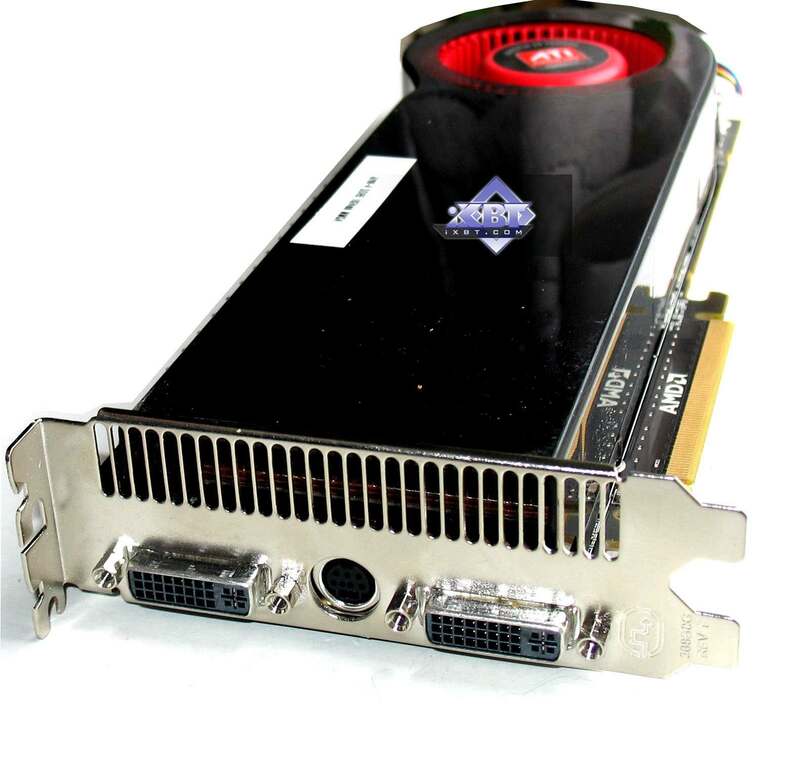 Those of you willing to know more about the RV770 architecture may consider reading this RADEON HD 4850 review. 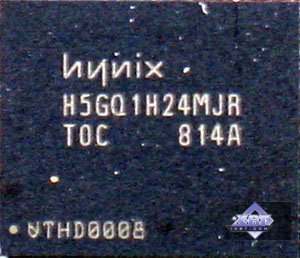 2x1024 MB GDDR5 SDRAM in total of 16 Hynix chips on both sides. Chips are designed for max. clock rate of 1000 (4000) MHz. It is obvious that the design concept was borrowed from 3870 X2. Changes are related to DDR5 memory and higher requirements to power circuitry. As for the CrossFire mode, the board features a new PEX bridge from PLX Technologies. Also note that the card has a 6-pin and an 8-pin power connectors situated similar to 3870 Õ2. 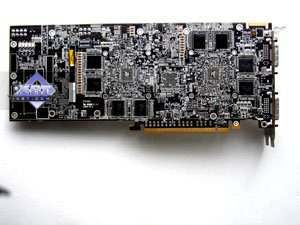 Analog monitors with D-Sub (VGA) interface are to be connected via special DVI-to-D-Sub adapters. 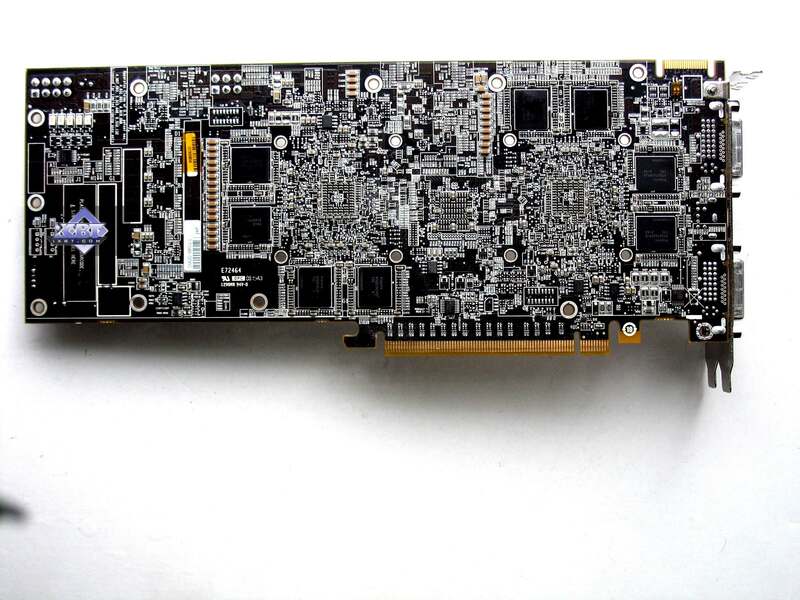 Since there are also DVI-to-HDMI adapters bundled with such cards, so should be no monitor problems. The cooler is the same as that of 3870 X2, only heatsinks are more efficient. The operation principle is the same: a turbine drives air through the heat sink. There is a big advantage: hot air is blown out of enclosure and does not stay inside. However, on 3870 X2 cooler remains silent while providing sufficient cooling. But the novelty might be rather noisy due to airflow. Memory chips are cooled by a special heatsink plate. Unfortunately, RivaTuner does not support the novelty yet, so we don't have monitoring results. But the card is very hot. Seems like the core is 80 or more degrees Celsius hot.